IFIM takes immense pride in announcing that Dr.Madhumita Chatterji, Director, IFIM Business School has been invited on the Executive Board of AMDISA consequent upon AMDISA's General Assembly accepting the recommendations of the 13th Nomination Committee. The Executive Board has eleven members representing all SAARC member nations. AMDISA governs the South Asian Quality Assurance System (SAQS) for management education institutions in the South Asia Region. The Association of Management Development Institutions in South Asia (AMDISA) was established in 1988. 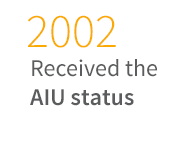 It is an international not-for-profit association, and is a “SAARC Recognized Body”. It has 232 Members from the SAARC Region. The mission of AMDISA is to “To promote management excellence in South Asia by networking management development institutions and facilitating their partnership with corporate enterprises and Public Agencies in the region.” Other members from India include Prof. Ashish Nanda, Director- Indian Institute of Management, Ahmedabad and Prof. Ajit Rangnekar, Dean- Indian School of Business, Hyderabad. The Association networks management development institutions across the South Asian nations, through exchange of information, conducting regional conferences and providing a forum for academics and business leaders. The Association interfaces business schools with leaders interested in management development; promotes professional development of management faculty; provides institution-building assistance to business schools and corporate management development centers in the region. AMDISA organizes institution-building workshops for Heads of Institutions, Faculty Workshops on frontier areas of management and interinstitutional cooperative research on contemporary managerial issues in South Asia. AMDISA’s administrative structure includes the General Assembly of members held every two years, which elects an Executive Board. It has eleven members representing all member nations. The current President of AMDISA is Prof. Lakshman R. Watawala President, Institute of Certified Professional Managers, Colombo, Sri Lanka and Vice President is Prof. Shathif Ali, Dean, Business School, The Maldives National University (MNU), Maldives. The Presidents of National Networks in South Asia, Past Presidents of AMDISA and Vice Chancellor, University of Hyderabad are Ex-officio Permanent Invitees to the Executive Board. The permanent Secretariat is located in the University of Hyderabad Campus, Hyderabad, India, and is headed by an Executive Director. While the Secretariat serves the membership and initiates activity plans, its activities are hosted by member institutions in different countries of South Asia. 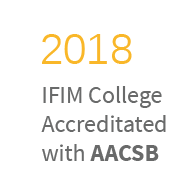 IFIM Business School, Bangalore, is a 20 year old institution and is one of the top business schools in India. It has been consistently ranked as ‘Bangalore’s No. 1 Private B-School’. Its vision is: To nurture holistic, socially responsible and continuously employable professionals. 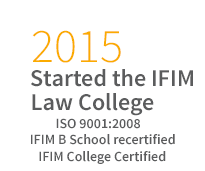 An ISO 9001: 2008 certified institute, IFIM offers 2 core programs- PGDM & PGDM (Finance). 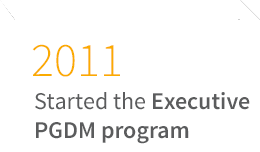 In addition IFIM also offers a PhD program in Management and a range of options for Executive Education. 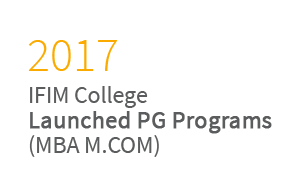 It is promoted by the Dalal Street Investment Journal Group and is approved by All India Council for Technical Education (AICTE). 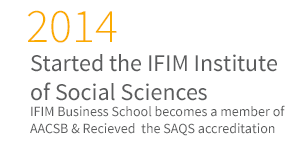 IFIM is accredited by SAQS and has also applied for NAAC accreditations. The campus is strategically located in the heart of Electronics City, Bangalore, with well-planned infrastructure and resources.